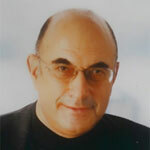 Elkhonon Goldberg, Ph.D., ABPP, is a world-renowned neuropsychologist and cognitive neuroscientist. His books The Executive Brain, The Wisdom Paradox, and The New Executive Brain have been translated into many languages and have met with international acclaim. Goldberg is an active researcher whose scientific contributions helped advance our understanding of the function and dysfunction of the frontal lobes, memory, hemispheric specialization, as well as the general principles of functional cortical organization. Goldberg has held a number of academic appointments in the USA and worldwide and is currently Clinical Professor in the Department of Neurology at NYU Medical School. Goldberg is a Diplomate in Clinical Neuropsychology and a practicing neuropsychologist with many years of wide-ranging clinical experience, as well as a sought-after educator who lectures worldwide. He has served as Visiting Professor at Hebrew University of Jerusalem, University of Sydney and other leading institutions of higher learning. Goldberg is a foreign member of Istituto Veneto, an Italian academy of science, literature and the arts; and a recipient of "Tempos Hominis" medal for international medical sciences education, and the Copernicus Prize for contributions to neuroscience and neuropsychology. Elkhonon Goldberg was a student and close associate of Alexandr Luria. He considers it an honor to continue and advance Luria’s scientific legacy and clinical tradition.